What's New | J. Dedoes, Inc. 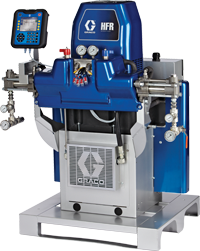 The Graco HFR Metering System is a meter, mix and dispense system that processes multiple sealant and adhesive materials – from elastomers to expoxies. 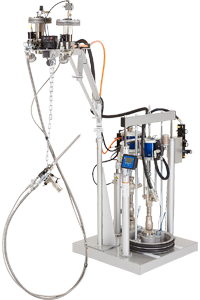 Its modular design, combined with Graco technologies and precision dispensing capabilities give you a system that is advanced and reliable, yet affordable. Please contact our customer service department for further information.